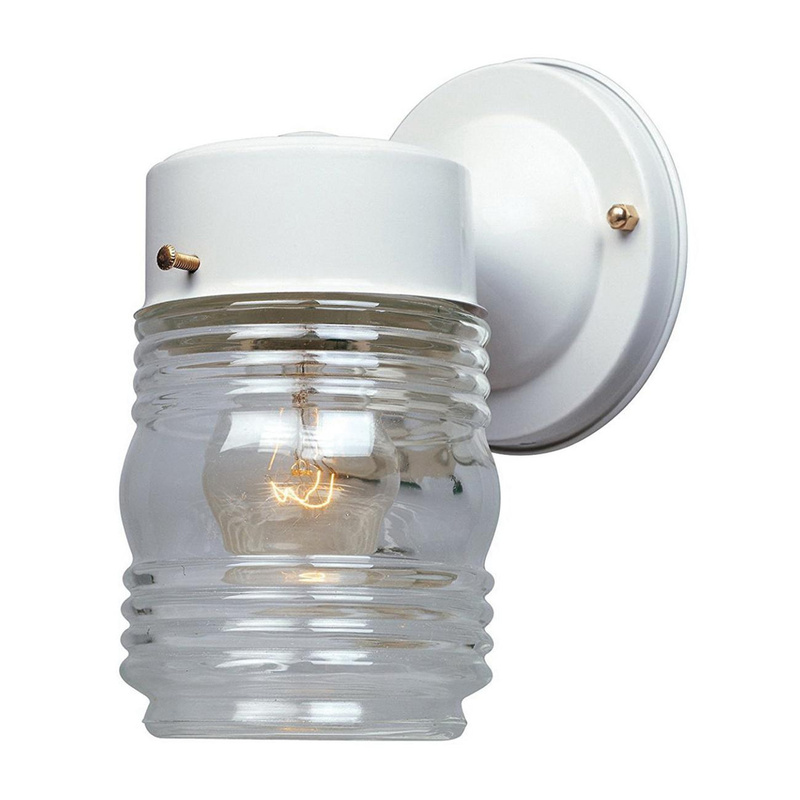 Designers Fountain Basic Porch Collection Outdoor jelly jar lantern in white color, uses 4-Inch clear shade and 100-Watt incandescent bulb to deliver superior and effective illumination. It has steel construction for added durability. Lantern is UL/cUL listed.